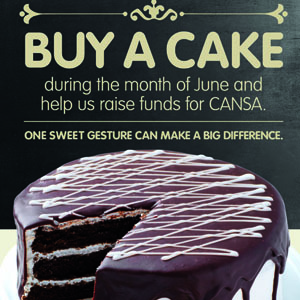 Want to support the SA Cancer Association – buy a cake! Supporting the Cancer Association of South Africa (CANSA) this June is a piece of cake, as Shoprite and Checkers will donate a portion of ALL cakes sold in their stores to CANSA. More than 100 000 South Africans are diagnosed with cancer every year, and the funds raised will be used to enhance the support programmes offered by CANSA’s Care Centres. Shoprite and Checkers have a longstanding relationship with CANSA and to date its annual in-store fundraising efforts have raised more than R7 million for the association. 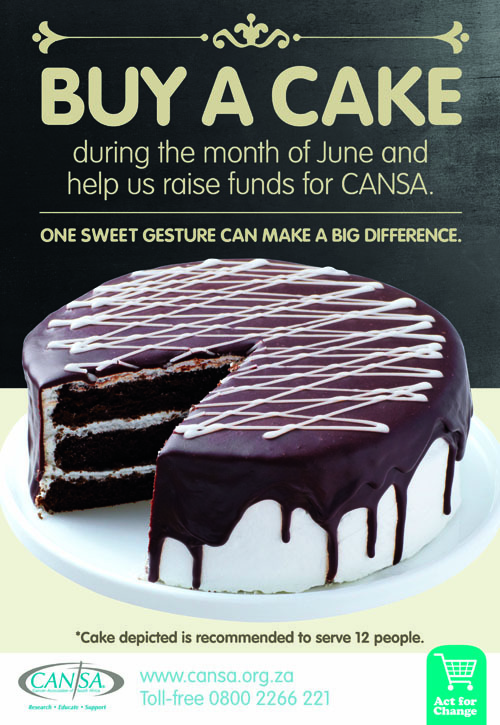 Customers are invited to support CANSA by buying a cake in any Shoprite or Checkers supermarket between 1 and 30 June 2018.